A good story offers a window to peer through in order to see something we could never come up with our own. A great story ignites something within us that can’t be ignored and will never be forgotten. A good story informs us. A great story changes us. Author, pastor and spiritual director Stephen Smith outlines the journey of spiritual transformation through the story of Lazarus in his devotional book, The Lazarus Life. Using Lazarus as his plumb line, Smith draws parallels to our own life, a life he believes should be marked by transformation. Lazarus of course is the brother of Mary and Martha, friends of Jesus who hosted he and his disciples at their home, who listened to his teachings and watched his miraculous acts of healing and power. In the story Lazarus falls ill, so ill that Mary and Martha believe the only way to save him is to send for Jesus, who they know from personal experience as a healer. As their friend, surely he will come. But Jesus doesn’t come right away. He lingers on where he is at and Lazarus dies. 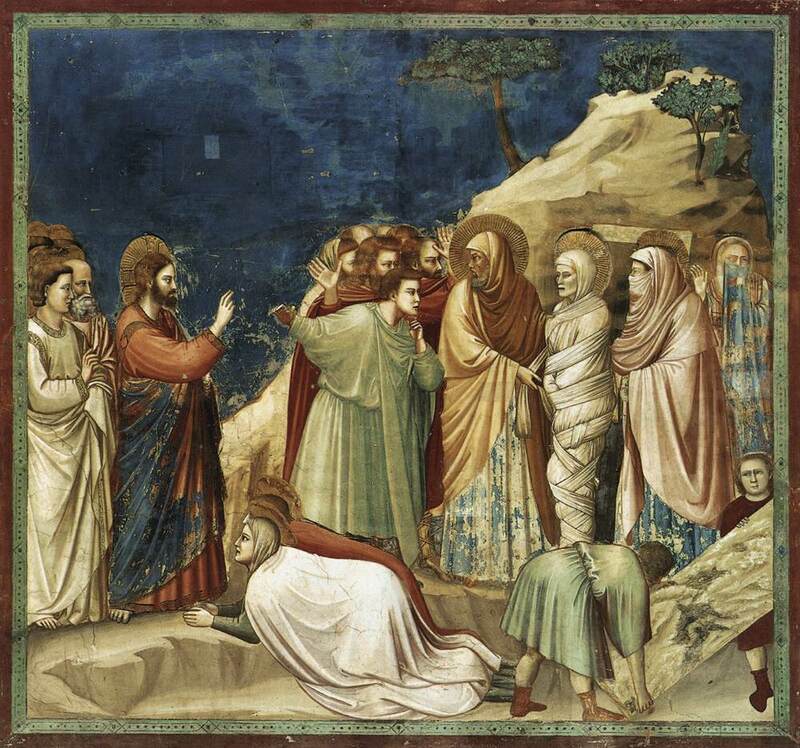 Days later and after Lazarus has been in the grave four days, Jesus finally comes. Reading the story from our perch in history, we know what comes next. Through Lazarus’ journey from death to life, Smith introduces the reader to the idea of spiritual transformation. By leading us into the drama of this particular Biblical narrative, The Lazarus Life acts as a guide that will help readers like me to understand what spiritual transformation might look like and what we might need to do in order to enter into it. Smith breaks Lazarus’ story up into different stages of the journey. These of course are not hard and fast stages, but rather a way to talk about the sometimes messy work of transformation. It made it possible for me to read a chapter a day and to pull from each chapter helpful ideas and insights to think about and meditate on. It also allowed me to sink into the Lazarus story, to slow down and watch the plot unfold and put myself in the place of the on lookers, of Mary and Martha and of Lazarus. This proved incredibly helpful as I have always read the story knowing the ending. This robs the story of much of it’s power. Mary and Martha must have faced severe disillusionment, discouragement and fear. Lazarus died. His body had begun to rot and as he stepped out of the grave, the stench of death must of stepped out with him. After Lazarus had been raised, the Jews began plotting his death. Transformation is rarely easy, but in the end, it is always good and it is always best for us and leads to the life of abundance that Jesus promises. Stephen Smith makes that fact abundantly clear and offers a helpful guide on the journey in The Lazarus Life. Waiting on Jesus is not a passive act. Waiting on Jesus is soul work. As we wait, we relinquish control, surrender our wills, give up our false hopes, and realize that if anything is going to happen at all, it will have to be God’s doing. Here’s a simple truth: God can use any circumstance, any tragedy, any wronged heart as an instrument for our transformation. No tomb is dark enough, no situation hard enough, no life broken enough that God cannot use it as fodder for the fire of transformation. The rhythm of Jesus’ life is the rhythm of a transformed life: a time of activity followed by a time of reflection. Both are vitally needed. We get one life but many opportunities in this one life to get it right. To live a transformed life is a life-long privilege. Hey, those links to the book above are affiliate links. They don’t change the price for you if you’d like to pick up a copy, but I’ll make about 7% from Amazon. If you are in the Freeman, South Dakota area of course you can borrow my copy. Buy The Lazarus Life.